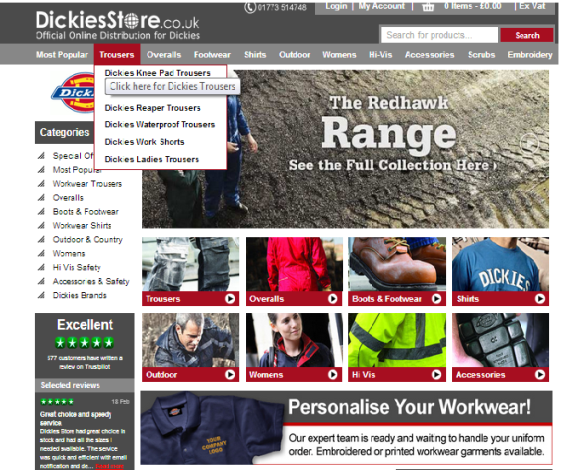 Simple navigation, clear communication, comprehensive product information and easier checkout are among the new and improved features and functionality of DickiesStore.co.uk, which go lives May 7. With a strong focus on intuitive navigation, DickiesStore.co.uk has ensured that the path toward finding that perfect product is clearly marked. In addition, a substantially improved search feature allows an even more precise shopping experience for visitors. 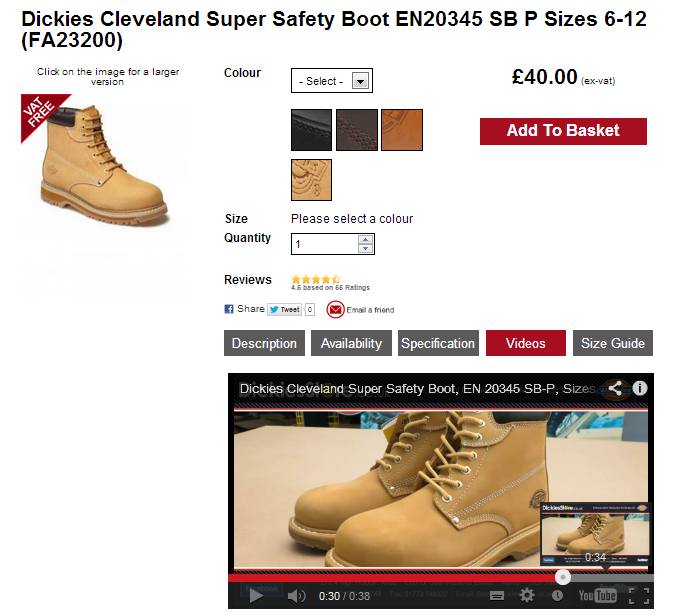 DickiesStore.co.uk has placed a lot of emphasis on keeping visitors informed and for this reason notifications about changes in stock will be much more prevalent. Another new feature on the re-launched site is a live chat function where visitors’ queries can be more directly addressed. In addition to improved functionality, the look and feel of the site has been given increased attention and has undergone a more modern makeover. Informational product videos have also been included to facilitate a much more comprehensive understanding of each product. Completing the payment process has been considerably simplified on the new website. Making a purchase is more fluid with PayPal and Google Checkout enabled and now the DickiesStore.co.uk shopping experience can be completed anywhere, as the site has been fully optimized for mobile use. Recently DickiesStore.co.uk uncovered an archive of Dickies advertising material dated as far back as the 1930s, demonstrating the history of its marketing communications. At the same time DickiesStore.co.uk is very much looking to the future after consulting customer response in order to constantly improve the functioning of its online store.